Oh you guys, I'm so excited about this collection!! 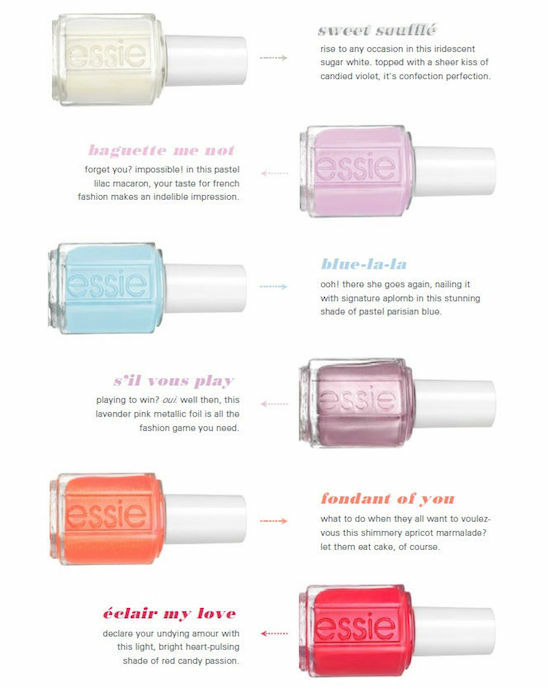 I love that this collection is based on a Parisian Patisserie and it's so colourful and fun. The polishes themselves are playful little twists...like that white? It actually has an iridescent shift to it. It looks like a creamy jelly white but then as you turn it there's a blue and orange shift that's so pretty! That orange has some gold glitter in it and S'il Vous Play, the namesake of the collection, is such a stunning pink foil! Imagine if you crossed Nothing Else Metals with Apres Chic and gave it a more pink tone. That's what that polish is! So good. Like I said, these are SUPPOSED to release on June 13, but some of you may already be able to find it in your local Target or Walgreen's. I can't wait to get my hands on these. I'm imagining every single one of these with tanned skin and I need them all! P.S. I also got a sneak peek on Fall and Winter and I can't WAIT to share them with you! Another lovely collection. I've seen pictures popping up on Instagram and s'il vous play looks so nice. Can't wait to see the fall and winter collections. Looking at these shades, I'm not immediately excited, but after seeing some photos of them, I'm a little more tempted! I'm thinking of waiting to buy them in the UK since I'm hoping to be back there by late June. I am SO excited for the Fall and Winter collections and so jealous you got to see them already!! Can't wait to see these in person. 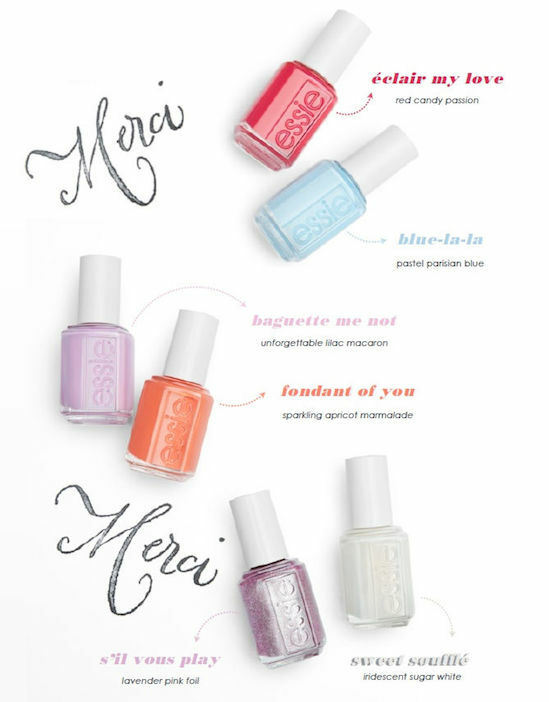 I have to say as much as I love all Essie collections, I love the Gel Couture formulas and brush so much, it's almost hard to buy regular ones anymore. I feel the same way as Jess, love gel so much.